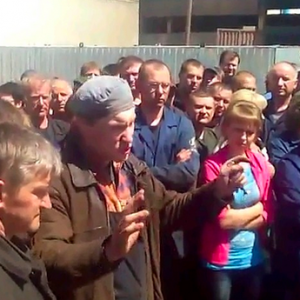 A labour strike at a major state-owned plant in June suggests that the current economic crisis will present serious political challenges to Belarus. Despite it being an election year, wages and pensions are not growing – a rare occurrence. Yet, it stagnating incomes are not the country's primary problem. Many state-owned enterprises do not have enough money to even pay the low wages they have in place now. They have to cut back on their labour expenses. Even the government expects situation to worsen, and this may just be one of the factors behind moving the election one month ahead. Belarusian GDP continued its descend in May, dropping 3 per cent in January-May 2015 relative to the same period last year. Manufacturing experienced the most serious decline – 8.3 per cent. Many enterprises are experiencing serious issues with their liquidity. Most of manufacturing enterprises, especially those that are state-owned, export a large portion of their goods to Russia. As the Russian market continues to decline, exports for Belarusian companies have similarly fallen, despite the stimulating effects that typically accompany devaluation. Declining production adds strain to the labour market. In the absence of any stimulation policies from either the government and the National Bank real wages continue to fall (-3.2 per cent in Jan-Apr 2015 relative to the same period last year). But the real crisis lies in paying wages to their bloated workforce, a task that is all but impossible for most enterprises. Official employment figures dropped by 25 thousand people over the course of December 2014 to April 2015. The official number of individuals registered as unemployed also grew slightly, up to 1 per cent of the overall labour force. But this low figure says nothing of the true reality facing the labour market – it is abundantly clear that not every unemployed person will register, as the unemployment benefits are minuscule. Currently the official unemployment figure is climbing mainly thanks to the “social parasite” law – obtaining the status of being unemployed frees one from the obligation to pay the “parasite tax”. Employment centres have even had to increase their working hours to accommodate everyone who wishes to register. Many state enterprises are avoiding releasing their workers despite their inability to pay their wages. As a result of this policy, on the 1st of June 444 companies had wage arrears. A total of 75,900 people have not received their wages on time. Wage arrears and cutting back on the number of working hours and days of operation at the factories could provoke social unrest. On 8 June the workers of Maladechna plant producing steelworks organised a strike because they had not received wages for two months. A couple of days after the strike the workers received their wages, but the plant still has a number of other debts to contend with, and its future prospects are dim. Another instance of social arrest unfolded at a milk-processing factory in Slonim that paid wages not in roubles, but in sour cream. One of the most successful Belarusian enterprises, lingerie-producing Milavitsa had to cut its working days from 5 to 3 days a week with a corresponding cuts in wages. 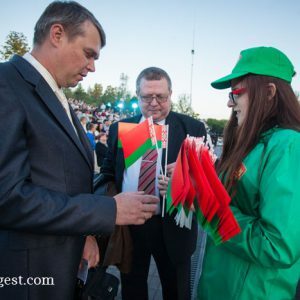 The difficult situation facing the labour market may be one of the reasons that convinced Lukashenka that he should move to hold the presidential election a month earlier. The situation in the economy is getting worse and worse every day, and even one month could make a big difference. Still there is life after the elections, and the government has a difficult problem to solve – how to restructure the inefficient state-owned enterprises without causing widespread social unrest? It is not clear precisely what to do with the state-owned enterprises, but the government bodies responsible for the economy understand quite well what the private sector needs. At the end of May, the Council of Ministers approved a draft of a new directive to support entrepreneurship. The directive excludes unnecessary intrusions by the government into market matters, separates the functions of the state as a regulator and as an owner, and proposes other steps to make competition fair for both state and private firms. But at the same time the government continues to use the old methods of “regulating” economic problems. After the loud, and still unresolved, arrest of an IT entrepreneur and investor Viktar Prakapenia, the authorities have nationalised Motovelo, a plant producing bicycles and motorcycles, and have arrested its owners. The privatisation of Motovelo was not done in a transparent manner, and the new owners, as it turns out, have violated the investment agreement, decreasing the number of employees it has substantially and did not bother to develop the capacities of the plant. While the nationalisation move may be legitimate, it certainly does not send a positive signal to any potential investors. The National Bank, which has made several important steps towards macroeconomic stabilisation this year, has decided to further liberalise the exchange rate market. On the 1 June official exchange rates were formed through continuous order matching, a procedure that allows for direct trades between buyers and sellers matched by a price as explained in more detail below. Before 1 June the Belarusian rouble was floating freely technically (the National Bank declared did not influence the exchange rate and only smoothed out the fluctuations). While the trends seen here with the exchange rates reflects a balance of supply and demand, the National Bank has determined the size of permissible change. With the new mechanism the market will completely determine the exchange rate, although the National Bank still reserves the right to take part in market operations. The introduction of this new mechanism coincided with the sharp depreciation of the Russian rouble. As Belarusian economy remains heavily dependent on Russia, after the switch to a floating currency regime, the Belarusian rouble fluctuated together with the Russian rouble. And as the Russian rouble depreciated almost 10 per cent over the week, the Belarusian currency followed. In June the rouble once more hit a historical low, almost reaching 15,500 per US$1, which will have consequences for rouble deposits (they tend to go down as the rouble depreciates) and for the banking system as a whole. Clearly, next year will pose many challenges to the Belarusian economy. But the government should not forget about long-run growth when trying to save the economy from its short-term malaise. At the end of the day inefficient state enterprises would have to shed some of its excessively large labour, and the government should soften the blow by offering employment programmes to the unemployed, not by printing money in order to provide loans to the plants and factories. The aggressive attitude towards investors also is coming at an inopportune time. And while the National Bank, under the new leadership, takes important steps towards macroeconomic stabilisation, it is not up only to the National Bank to undertake reforms.